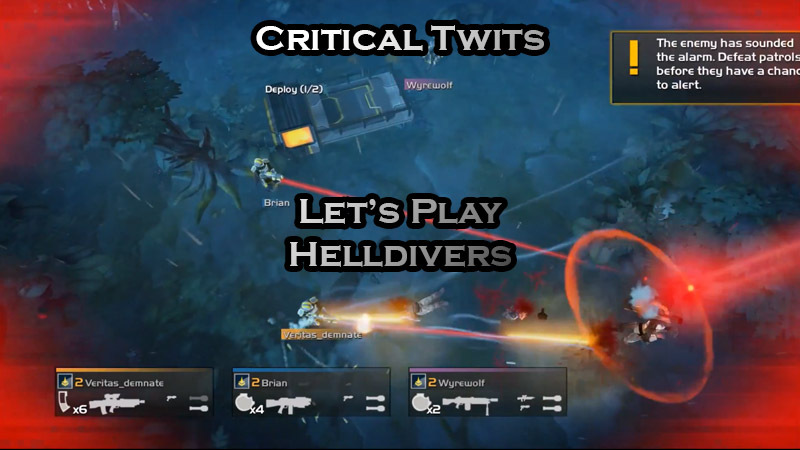 Let’s play Helldivers, the isometric cooperative alien-murdering game from Arrowhead Game Studios. Can the Critical Twits triumph against inhospitable environments, the massed ranks of the enemy, and their own incompetence? Leave us a voicemail and we might feature it on the show! The Critical Twits © 2019. All Rights Reserved.